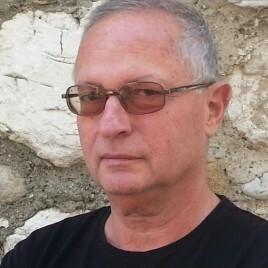 György Spiró (born 1946) – a Hungarian writer, translator and essayist. A huge connoisseur and lover of Polish culture, particularly the one from the Romanticist period. For many years, he lived in Poland, where he did research on 19th-century Polish literature. In 2007, his novel Messiahs was published, whose main protagonists are members of the Circle of God’s Cause, including particularly Adam Mickiewicz. Spiró received the Angelus Central European Literary Award for this novel. His earlier novel The X-s (1981), whose main protagonist was Wojciech Bogusławski, could not be published in Poland for a long time because of controversies around it and claims concerning the ‘profanation of the nation's sacred things’. He has done many translations into Hungarian, including dramas by Gombrowicz and Wyspiański.